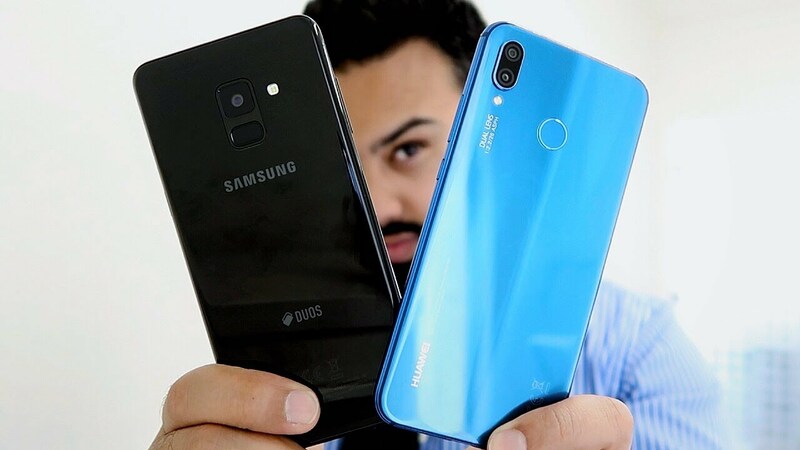 The iPhone XR, Huawei Nova 4, and Samsung Galaxy A8s are some of the best phones on the market this year, and you might want to consider getting one of them if you’re planning to replace or upgrade your phone. Here’s a brief comparison of the three smartphones that can help you choose what’s best for your needs. The iPhone XR is powered by the A12 Bionic chipset and 3GB RAM. The processor makes the iOS fluid to operate. The Huawei Nova 4 is powered by the Kirin 970 processor. It has 8GB RAM and 128GB storage space. The smartphone runs on Android 9.0 Pie with GPU Turbo for an enhanced mobile gaming experience. The Samsung Galaxy A8s is a classy and solid midrange phone that runs on Snapdragon 710 and 6GB or 8GB RAM. The phone has 128GB storage. The iPhone XR is available in red, blue, yellow, coral, black, and white. The edges around the phone are aluminum, but the color is metallic. The phone has a notch. There’s no home button, and the screen is edge-to-edge. The XR has a large 6.1-inch LCD screen. The Liquid Retina Display has a 1792 × 828 resolution. The Huawei Nova 4 comes in blue, pearl white, black, and honey red. The body is made from glass, measuring 0.3 inches thick and weighing 6 ounces. The phone has a 2310 × 1080 resolution, and the screen houses the punch-hole selfie camera on the top-left corner. The Galaxy A8s has a curved rear with a front that’s mostly flat. It is available in blue, gray, and green gradient colors. The A8s has an IPS LCD display with 2340 x 1080 resolution. Like the Nova 4, it features a punch-hole design, which Samsung has branded the Infinity-O. It is the first Samsung phone to sport an in-screen front camera. The iPhone XR has a 12-megapixel lens, f/1.8 aperture, and optical image stabilization. It can record 4k videos at 60 fps, and it can record stereo sound. It is also equipped with Smart HDR. It enables the use of the portrait mode minus the need for a secondary lens. The standard Nova 4 packs a 25-megapixel camera with f/2.0 aperture, as well as electronic image stabilization. It has a 1080p video recording feature. The High Version of the Nova 4 is equipped with a 48-megapixel camera with f/1.8 aperture and a second 16-megapixel camera lens. Meanwhile, the A8s has a slightly more complex triple-lens setup. The main camera is a 24-megapixel lens with f/1.7 aperture, the secondary camera is a 10-megapixel telephoto sensor, and the third camera is a 5-megapixel depth sensor. The iPhone XR has a 2,942 mAh battery. It supports fast charging, but its cable isn’t included. The Huawei Nova 4’s battery is much improved with a 3,750 mAh capacity. The A8s has a 3,400 mAh battery that also supports fast charging. The choice is up to you if you want to sell your cell-phone and purchase one of these as a replacement. The XR, Nova 4, and A8s are good alternatives to their respective company’s flagship phones minus the hefty price.